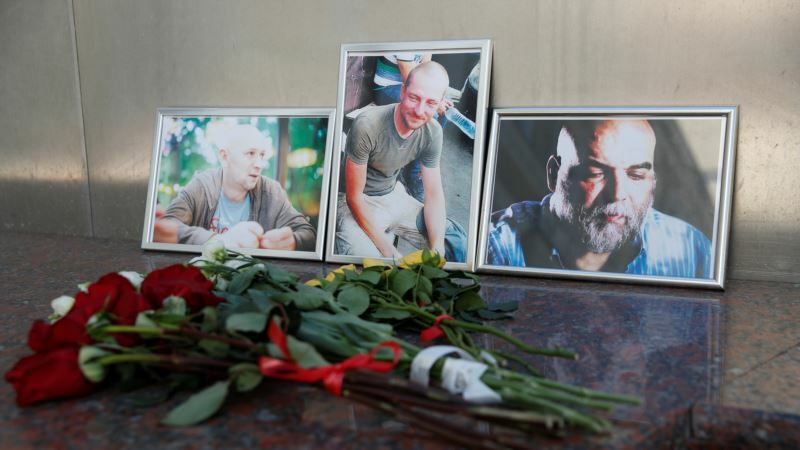 Slain Russian Reporters Worked on Contractors, Mining in CAR - Integration Through Media ....! (VOA): Russian journalists who were killed in the Central African Republic had been working on an investigation into Russian private military contractors and the mining industries there, their editor said Wednesday. The reporters were killed in an ambush earlier in the week outside the town of Sibut in the CAR, according to local and Russian officials. CAR officials have only said that the reporters were found dead after being kidnapped by about 10 men wearing turbans and speaking only Arabic, but have yet to give further details. Andrei Konyakhin, the chief editor of Khodorkovsky's Investigations Management Center, said the reporters were trying to shed light on a private Russian security company operating in CAR as well as on Russia's interests in the ocal diamond, gold and uranium mining industries. He said the men arrived in CAR on a tourist visa to work undercover and were planning to stay there for two weeks. Russian and foreign media have mentioned the security firm's name in reports as Wagner, a military contractor group that is linked to Yevgeny Prigozhin, a St. Petersburg entrepreneur dubbed “Putin's chef'' for his close ties to the Kremlin. Konyakhin said the men who were killed, Kirill Radchenko, Alexander Rastorguyev and Orkhan Dzhemal, were traveling to the north of the country to talk to a United Nations representative there. The journalists were carrying several thousand US dollars in cash to fund their stay in CAR, as well as valuable cameras and gear. Konyakhin said he did not know for sure what happened to the money and gear, but they were likely stolen. Konyakhin told the Associated Press in a phone interview that the main working scenario at the moment was that the killings were the result of a robbery, but he is skeptical and thinks the attack could be linked to their investigation. Khodorkovsky, a former oil tycoon and once Russia's richest man, lives in London after spending 10 years in a Russian prison in a case widely seen as politicly motivated. From exile, Khodorkovsky supports a number of civil society groups and media projects in Russia, where authorities continue to investigate him on a variety of charges.